Punta Cana has become the most attractive vacation destination in the Caribbean with close to 4 million arrivals per year. It is well known for its climate, the white sandy beaches and the many spectacular golf courses it has to offer. To name a few well known course designers presented in Punta Cana are Jack Nicklaus, Tom Fazio and a handful of P.B. Dye golf courses. The above mentioned are all considered to be some of the absolute best golf courses to be played in the Caribbean. So if your are looking for a golf vacation combined with some nice weather and beaches, then you have come to the right place, Private Casa. Punta Cana, has much more to offer than just golf during you vacation. To mention a few things to do while in Punta Cana, visit the Punta Cana Ecological Foundation, swim in the fresh water lakes and watch the special bird life in the Dominican Rep. Other things to do while on vacation in Punta Cana is to swim with dolphins or take a guided trip through the beautiful country side of the Dominican Rep. Another popular attraction is the whale watching tours during the months of January through March. 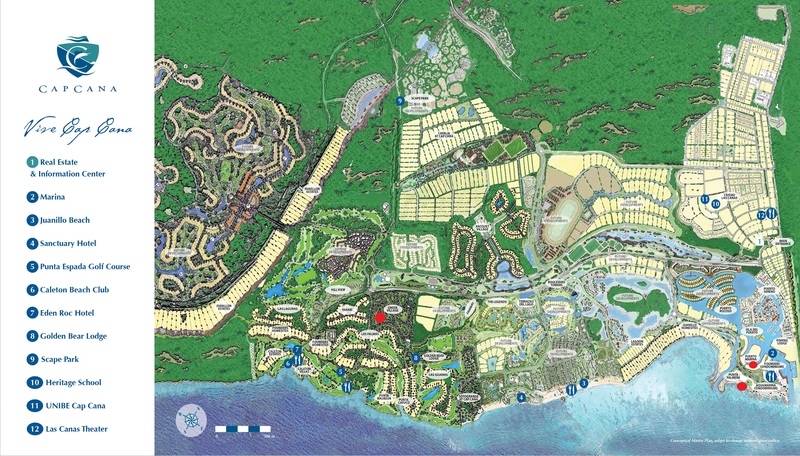 Below are some links of interest within the two most high-end luxury resorts PuntaCana Resort & Club and Cap Cana located on the east coast of the Dominican Rep.